As patients get older, teeth often start to yellow or become stained. We want you to have the dazzling smile you deserve! 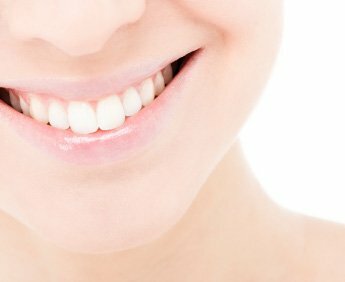 A whiter smile can have a great impact on your confidence and quality of life, which is why teeth whitening is such a popular cosmetic dentistry treatment for so many patients. Habits: Dietary | Diet is a huge reason teeth become discolored. We all need to eat and drink, but some foods stain more than others. Coffee, tea, fruit juices, and sodas are major culprits. Our professional teeth whitening services will help you get rid of the yellowing and the stains and get you the stunning smile you want! Habits: Tobacco | Tobacco will stain teeth, especially over several years. We offer powerful teeth whitening services to remove the stains from your teeth and get them looking brilliant again. Fluorosis | Patients who have been overexposed to fluoride while their teeth were still developing may have yellowed teeth as a result. Canyon Echo Dental provides professional whitening services to bleach out fluorosis and help your smile be bright and brilliant! Medication | Some medications may cause internal tooth discoloration during tooth development and others may cause external discoloration during the course of treatment. Professional teeth whitening can help the deep-rooted staining caused by certain medications. Canyon Echo Dental offers both KOR teeth whitening and Opalescence, giving you options to find the best treatment for you. We offer take-home whitening kits in addition to our professional in-office treatments. The take-home kits are convenient and can be done in the comfort of your own home. The take-home treatments will get your teeth shades lighter in 10-14 days. This allows for a gradual, natural looking change. We are excited to help you get the beautiful smile you deserve! If you have any questions about our teeth whitening processes, give us a call today!